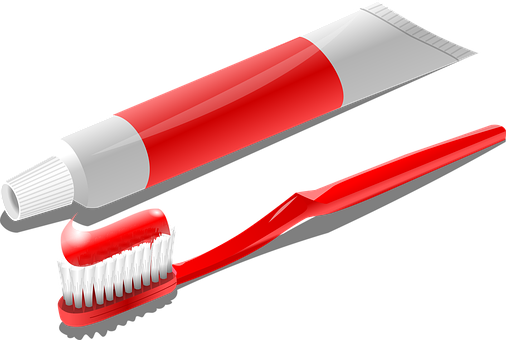 Next month kicks off National Dental Hygiene Month. It’s a month in which dental professionals stress the importance of oral hygiene. Yet, October shouldn’t be the only month we focus on protecting our mouth and teeth. As a Concord dentist practicing family dentistry, we encourage our patients to brush two times each day as well as to floss daily. Our young patients need our help to learn how to properly brush and floss, and older children as well as adults occasionally need a gentle reminder. Today, let’s look at ways kids learn. Hopefully, one of these methods will work for someone in your family. Regardless of the age, people often use visual cues as a learning aid. Teaching and reinforcing personal and oral hygiene visually is quite easy. Let young kids see you caring for your teeth and they’ll want to mimic you. If you need a refresher yourself on brushing and flossing tips, simply ask our Concord dentist or hygienist for help. When children see their older siblings and parents brush and floss, they’ll begin to realize the importance of maintaining a healthy mouth. For older children, videos and pictures are great cues as are simple notes pinned to the mirror. Are you of the generation that was raised by worst case scenarios? Many of us can attest to being given an example of the worst thing that could possibly happen. While there isn’t much science behind this, it sure did scare us at times. The worst that can happen when you don’t brush and floss is that your teeth will fall out, altering your appearance drastically if not restored. One or two images of rotting and decayed teeth may just be what your child needs to start properly brushing and flossing. For a more positive approach, a few pictures of gorgeous smiles can give them something to look forward to. We all respond to music. It’s how we learned our ABC’s, after all. There are a great number of songs available online that promote brushing and flossing. Even better, most of them are two minutes; the recommended amount of time you should brush your teeth. Pick a snappy tune that is fun to hum while children brush their teeth. Songs stay with us for a long time, and can serve as a way to make oral hygiene fun. Our Concord dentist may just have a song or two ready for your ears at your next appointment. Some people respond best to a trustworthy authority figure. If anyone in your family learns best this way, then give our Concord dentist office a call to set up an appointment. We can discuss the proper way to floss and brush, and the importance of good oral health. We can act as a confidant and provide knowledgeable information for the best ways to keep your oral health in the healthiest manner. Raising children is a lot of trial and error, and emotional highs and lows. Kids love to do things their way, but watch how adults act and often follow our mannerisms. If you take good care of your own teeth, and your family members recognize the benefits of your effort, chances are they’ll do the same. Learn more healthy hygiene tips on our Facebook page and together we’ll celebrate not only National Dental Hygiene Month, but set a strong foundation for oral hygiene for the rest of your family’s lives.